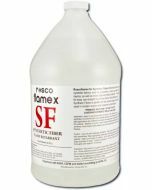 Most fabrics made of natural fibers can be effectively treated using Roscoflamex NF. Among the many fabrics commonly used in scenery or costumes, use Roscoflamex NF on cotton, muslin, scrims, cotton netting, natural velours, wools, linens, natural felts, and most other decorative, garment or upholstery fabrics made with natural fibers. 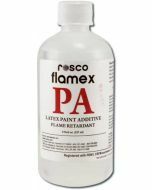 Easy to use, with no greasy after effects, Roscoflamex NF is the best solution for insuring your scenery and props meet local fire regulations. 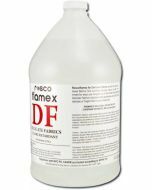 UsageRoscoflamex NF has been premixed and does not require any further dilution. The method of application and the amount of Roscoflamex NF required for sufficient treatment varies with the fabrics in use. 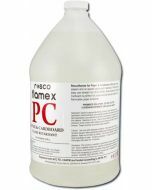 Certification and TestingRoscoflamex NF has been approved for use by the California and New York City Fire Marshall and has been tested according to NFPA 701. Roscoflamex NF compares to original Roscoflamex C26. 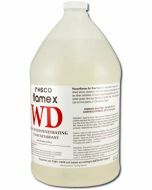 Do not intermix old and new Flamex products.